HTC is proud to announce we will be entering teams in the USFHA Regional Club Championship Tournaments. We will be taking U14, U16 and U19 Teams to the Region 1-3 Northeast Region for our East Coast participants. We will also be taking U16 & U19 teams to the Region 9-11 tournament for our West Coast participants. All HTC players are eligible to be considered for one of our RCC teams! This is the one tournament of the year that we have to select and cut players for our teams. Each RCC team will have 20 players and 4 alternates named. There will be over 60 players plus wanting to make each of our RCC teams. So with this very difficult decision for our coaches, it is imperative that all families understand the commitment that will be required if a player is selected. Each player will be required to participate in a training schedule to prepare our teams for the RCC tournaments. We ask that players selected try and make each and every event on the team’s training schedule. There will be a fee to participate in the RCC tournament. This fee will be between $900-$1500, which will cover the training sessions and the RCC tournament. HTC will work with families that need a payment plan in order to cover this fee. After discussing and agreeing to these parameters with your family, players can register for the evaluation sessions to be considered for selection to our RCC Teams! All interested players need to register to be considered for the RCC team and pay a small evaluation fee. Each age group will have it’s own evaluation dates. These are listed below. After players register to be considered, they should attend the practice sessions listed below. These practice sessions allow our coaching staff to evaluate players for our RCC teams. We want to make sure everyone knows that these evaluation dates are NOT required, but will help our coaches see you play and select the teams. We are requiring all players being considered for the RCC teams to pay the small evaluation fee, regardless if they can attend all practices. Teams are announced on the following dates below. For the players that are selected to the teams, we will forward the specific training practice schedule. Here is more information about the Regional Club Championship Tournament, which is an USFHA Event. Only the top sixteen U-14, U-16 and U-19 teams from the Regional Club Championships will earn a ticket to the National Club Championship in 2019. One club team in each division will claim the highly coveted title of National Club Champion. 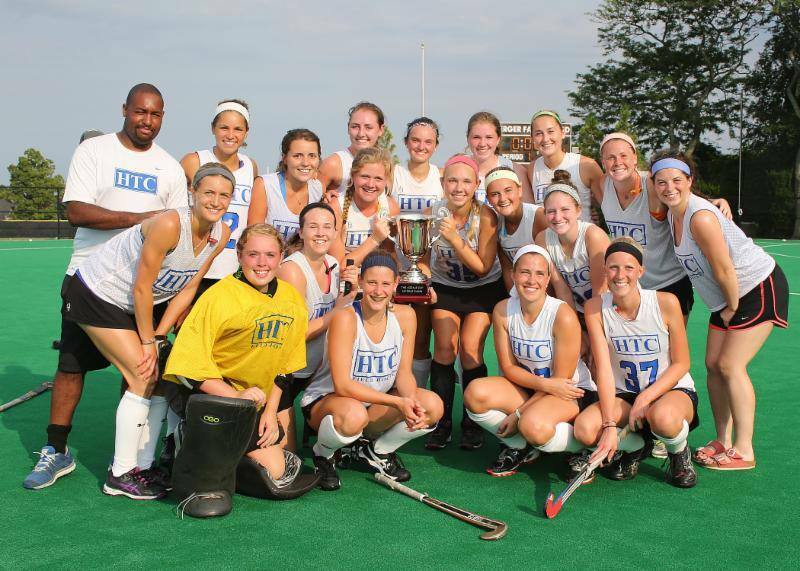 The National Club Championship is an ideal opportunity for clubs to compete against each other in a highly competitive atmosphere and coincides with USA Field Hockey’s mission of growing playing opportunities and the game of field hockey in the United States. Age requirements for the RCC tournament is determined by a players age on January 1, 2019. Everyone must have USFHA membership that is current through August 1, 2019 and you must select HTC as your affiliated club. We are very excited to compete in this year’s RCC tournaments! Here are the evaluation opportunities that are suggested for each age group. These are not Required, but Opportunities for our coaches to evaluate players in order to select our teams. All players are REQUIRED to register and pay this evaluation fee, regardless if they can attend all of the evaluation practices. Once our Teams are selected, we will announce our hotel blocks for our teams!